When I am hungry it is ugly. Period. But when I need a chocolate fix it gets even uglier. Imagine Medusa mixed with the Wicked Witch and you get the idea. 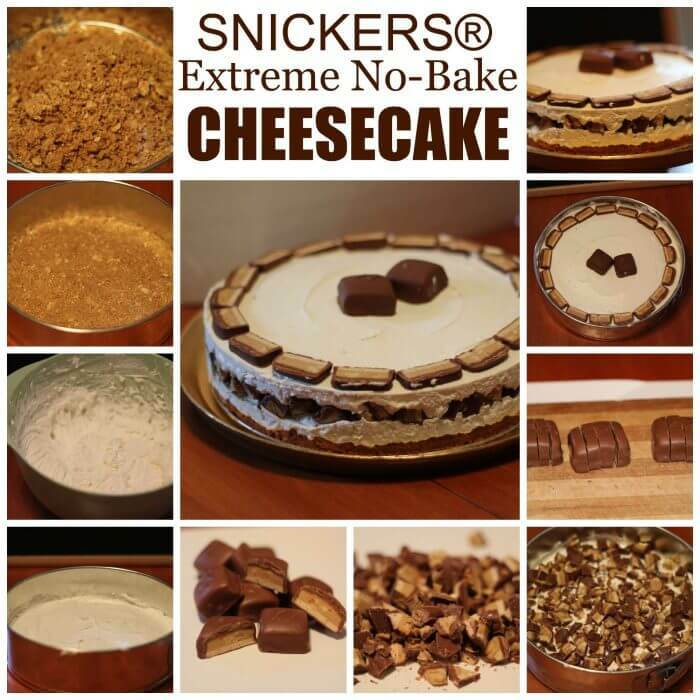 So on a recent quest for something to satisfy my chocolate craving before things got ugly I decided to make this SNICKERS® Extreme Peanut Butter No Bake Cheesecake. Messaging below is intended for ages 21+ and is intended to be enjoyed responsibly, in moderation. Lately, I have been finding myself needing a weekend to relax after my weekend. Life is hectic and busy all week long and instead of having a break on the weekends, it seems life is even busier. 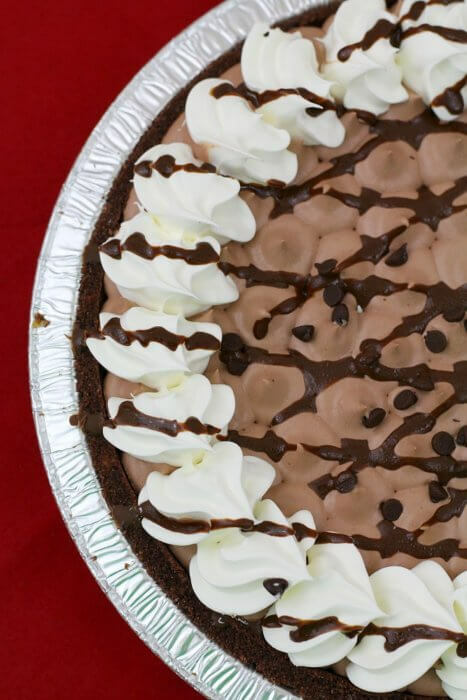 Surviving Saturday is the only reason I need to celebrate and this past weekend I celebrated with a frozen ice cream mudslide pie cocktail. Since my Saturday was so crazy, I decided to get a little crazy with my cocktail. Why not? Right? 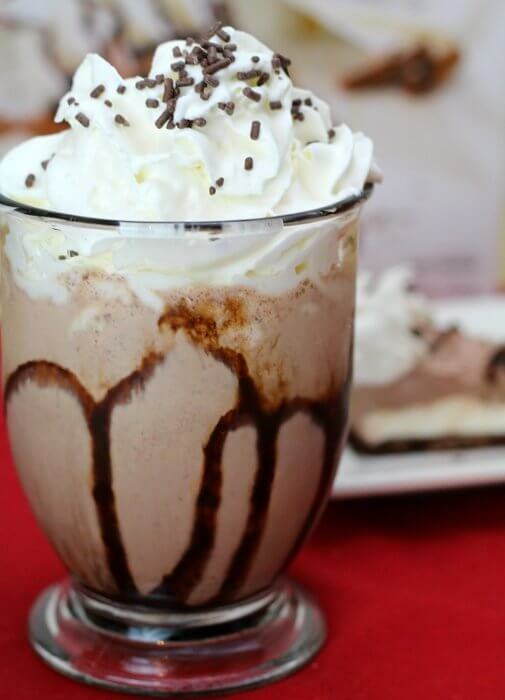 So I made my mudslide with a slice of Edwards Hershey Crème Pie. 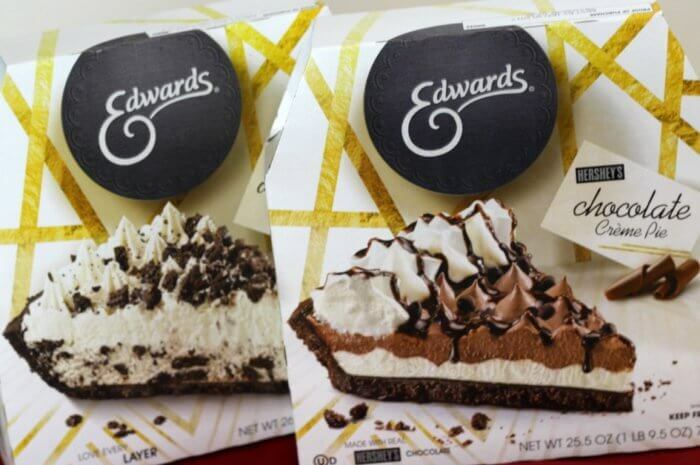 Edwards pies are perfect for ANY occasion whether you are celebrating a birthday, work event, graduation or surviving Saturday. Who says you can’t have your pie and drink it too! Add all of the ingredients to a blender. Blend until smooth. Drizzle chocolate syrup on the inside of the serving glass. 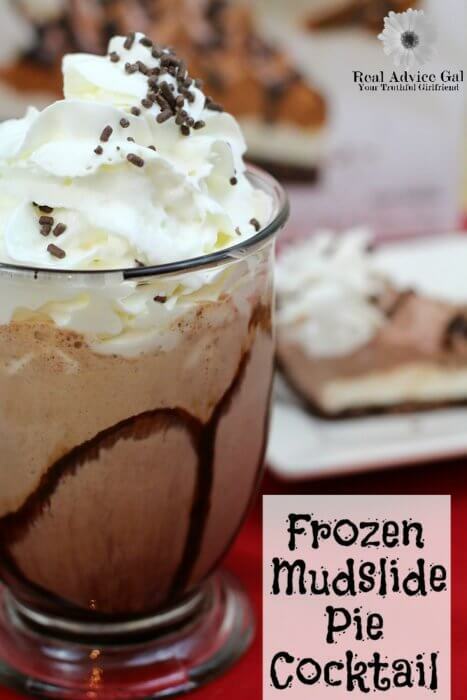 Pour mudslide mix into the glass. Top with whipped cream and chocolate jimmies. Where can I find Edwards Pies? 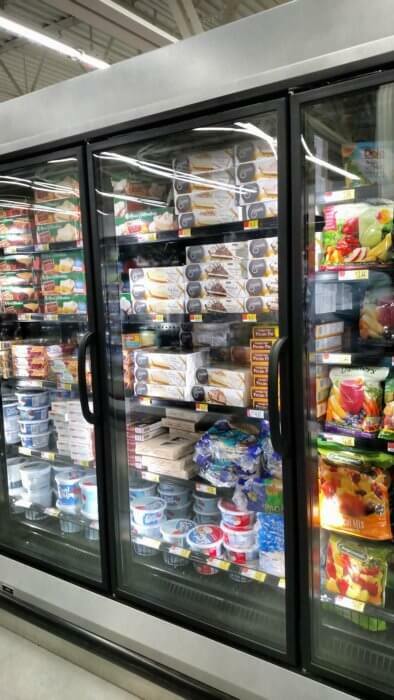 Your weekend probably includes at least one trip to Walmart. I know mine usually does. 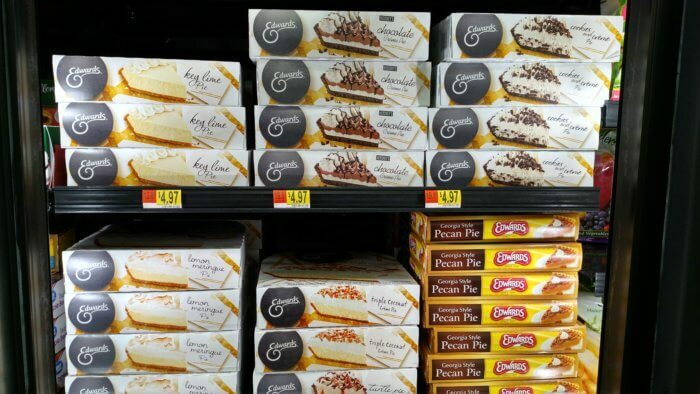 So while you are there head to the frozen dessert section in the freezer aisle and pick out your favorite pie flavor. Whether it’s celebrating the week’s wins, reconnecting with friends, or making it through another day, Edwards® invites you to take a break and reward yourself during those everyday moments. I hope you will remember to celebrate you successes in life no matter how big or small. 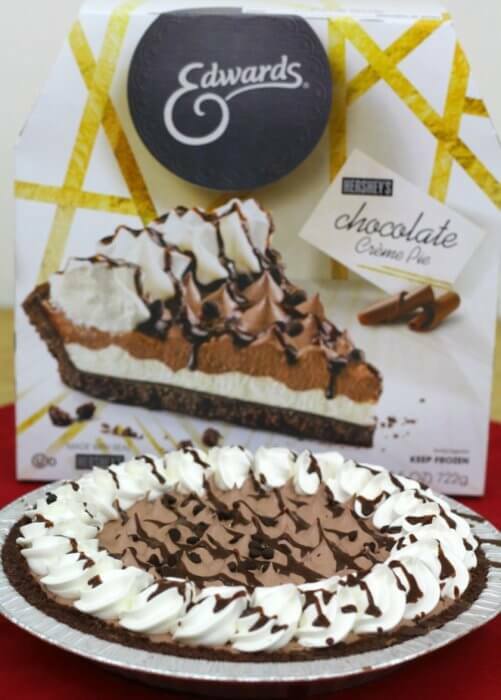 Try a slice of pie or make yourself a frozen ice cream mudslide pie cocktail. Everybody loves pie! Am I right? And everybody loves green bean casserole. Am I right? 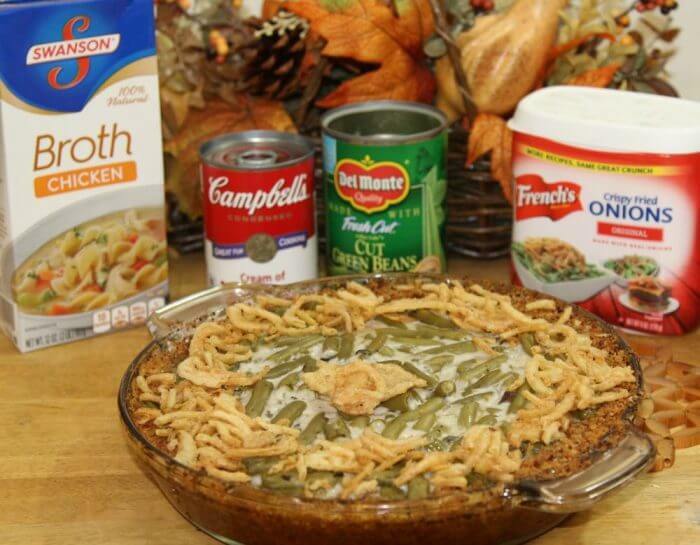 So the logical conclusion is that everybody will love green bean casserole pie! I decided to shake things up this year with one of our tried and true favorite Thanksgiving side dishes – green bean casserole. 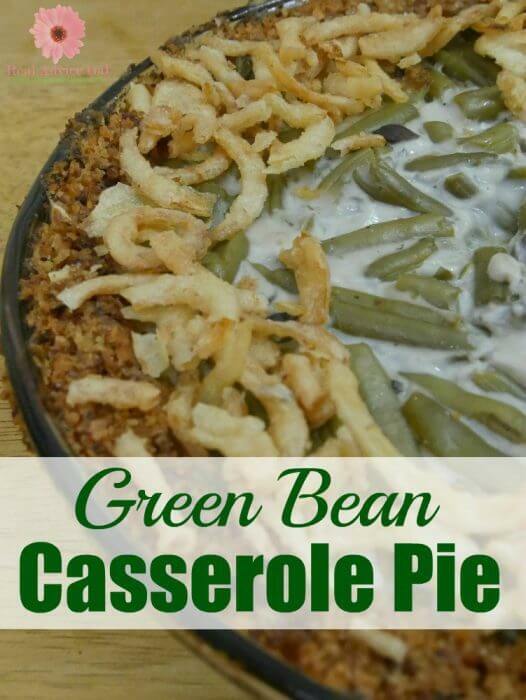 I live for green bean casserole and I gotta admit when I as all done taking pictures for this post, I just got out a fork and had green bean casserole pie for lunch. This shop has been compensated by Collective Bias, Inc. and its advertiser. All opinions are mine alone. #MyCareGivingStory #CollectiveBias Recently our family grew in a not so traditional way. Great grandma came to live wit us! I am sharing tips and ideas for caring for your elderly loved ones along with a printable check list for temporary senior care givers to use while you are traveling without your loved one. For years now my husband and I have been wanting to grow our family. We strongly believed that there was room in our home and our hearts for one more child to love. However, that just doesn’t seem to be in the cards for us. With much thought and soul searching we slowly changed our prayers from “Dear Lord, if it is your will please help us get pregnant and give us another child to love” to “Dear Lord, please grow our family, we are open and ready to love and care for others.” Well, God answered our prayers in an unexpected way. He opened the doors for my husband’s grandmother to come live with us. Our family grew and so did our hearts as we welcomed Nana into our home and lives. Becoming a senior care giver has changed our lives for the better. Let me tell you a little bit about Nana. She is 92 yrs old and is overall in good health. She does have a few challenging conditions such a dementia and incontinence. When faced with the challenges of caring for someone with dementia we have learned that flexibility, a sense of humor, and loads of patience are key to helping us all ensure that she is safe and that her needs are being met. When faced with the challenges of caring for someone wth incontinence we have learned that the key was finding dependable, affordable, and comfortable disposable underwear. 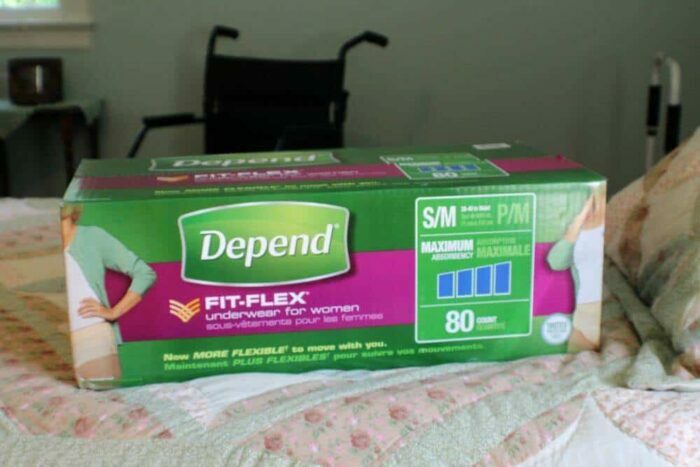 We tried a few brands and discovered that Depend® Fit-Flex® Underwear for Women were the most comfortable for Nana to wear which is so very important to her and us. The smooth close-to-body fit makes it so Nana feels like she is just wearing regular underwear. In fact, she no longer wears any regular underwear and only wears a pair of Depend Fit-Flex Underwear. This way she is never without protection and is always comfortable. We will be doing quite a bit of traveling this summer and Nana will be staying home. We have hired in home nurses to come and care for her while we are away. Since, Nana has dementia she doesn’t always remember all of the things she needs to do to care for herself. It is especially difficult for her to remember her daily care routine in the evenings when she is getting ready for bed. Like many folks her dementia and memory gets worse in the evenings. 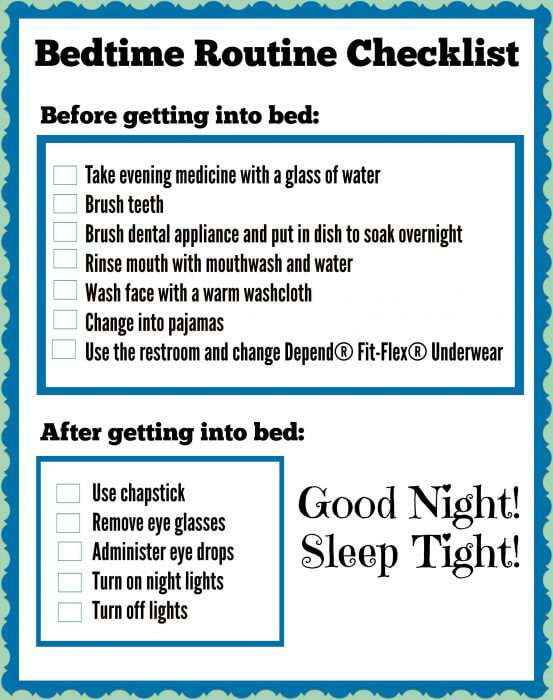 I created a checklist for the care givers to use when they are providing assistance as Nana gets ready for bed. Some of these things are unique to Nana but overall the checklist is a good universal list so please print it out if you find it helpful to use when caring for your loved ones. I feel so much better knowing that all of Nana’s needs will be met while I am away even if she forgets that she needs to brush her teeth or change her Depend Underwear. I also want to share with you where I buy supplies for Nana and about the valuable caregiver resources you can use to help you care for your older loved ones. I buy briefs for Nana at Sam’s Club. 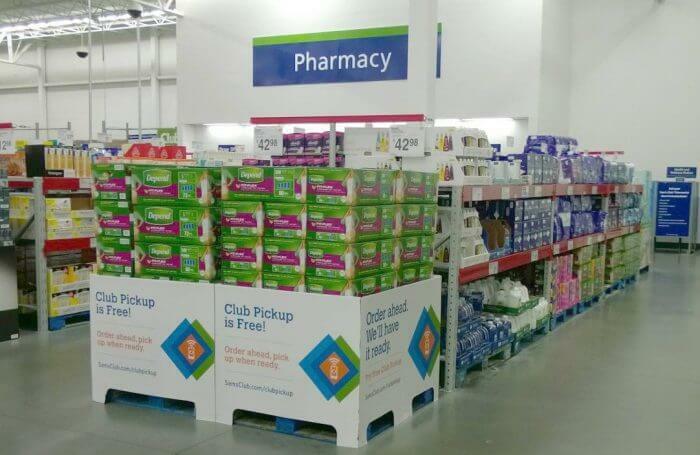 Sam’s has a variety of products in-club to meet various levels of incontinence needs including Depend® Fit-Flex® Underwear for Women and Men, Poise® Pads, and Poise® Liners. These products have new packaging so be sure to look for them in the club. Also note: that if you scan the package you are taken to the Sam’s Club Family Caregiving website. Whether you need to purchase personal care products, refill prescriptions, or find ways to make your home safer for your loved ones you can find everything you need with the Sam’s Club Family Caregiving Program. 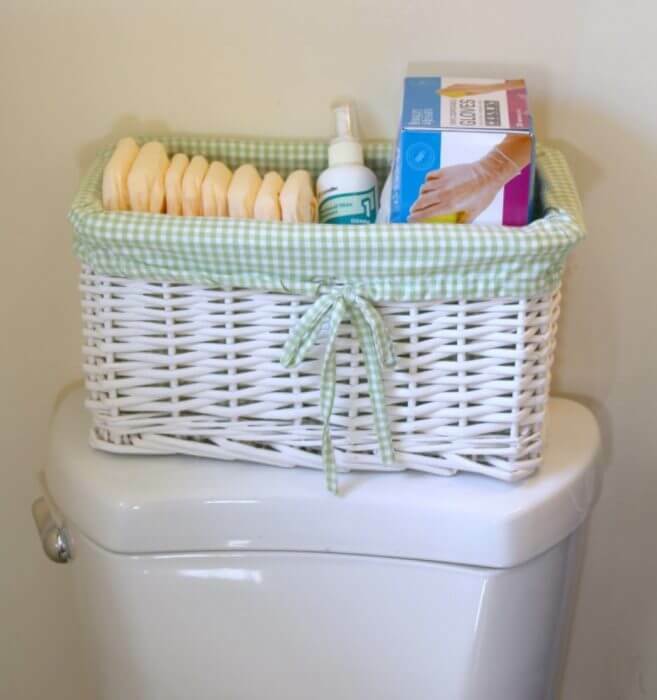 One other thing I do to prepare for in home care providers is to prepare a basket with all of the essential they might need to provide bathroom assistance. I fill the basket with Depend briefs, no-rinse cleaner, and gloves. I keep the basket stocked for myself too. 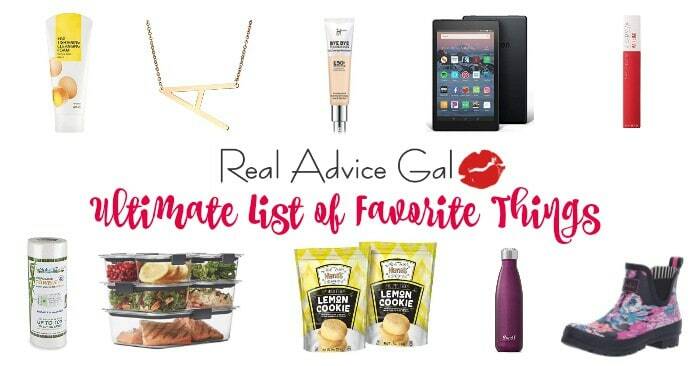 It just makes it easier if everything I need is readily available. 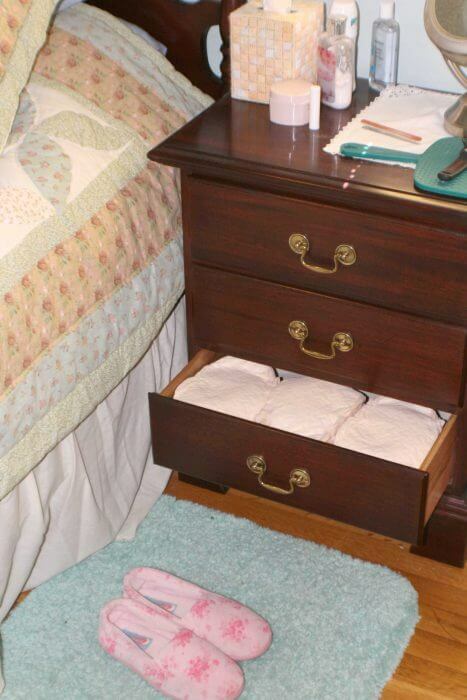 I also make sure that Nana can find extra Depend briefs in case she needs them. I keep them in a drawer by her bed. Being a senior care giver is not without it’s challenges but the rewards and blessings far surpass the challenges. We have all shared special moments with Nana especially my two boys. They sweetly interact with her throughout the day. 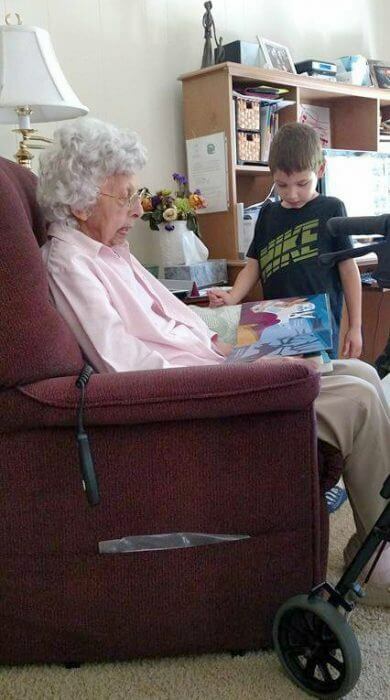 She reads to my youngest son and helps him with his school work. My oldest son has started a list of questions he wants to ask her about her life. She loves sharing about her life. They love it when she goes to watch their sporting events. It is such a blessing to have her in our home so we can love on her and ensure that her remaining days are pleasant and happy ones. Be sure to check out the Sam’s Club Family Caregiving Program, it is a great resource for anyone who is a care giver. We would love to learn your best tips for senior care givers in the comments below. Close your eyes for a moment and imagine: A cool breeze is blowing gently rocking you as you relax in your hammock sipping on a sweet tea on a warm summer afternoon. Aaaahhhh! This is what summer is all about! Relaxing, maybe even dozing off a bit. Then out of no where you hear: “MOOOOMMMMM!!! I’M BORED! !” Boom! Your restful afternoon siesta gone in an instant. Ugghhh!!! All you wanted was 10 okay maybe 20 minutes to just relax and enjoy a moment to yourself. You didn’t ask for an hour, you wouldn’t dream of it, no just 10 little minutes is all you really needed. Well I have a great idea for a fun activity you can create to keep you kids busy for those 10 short little minutes you need to have a quiet me moment this summer. 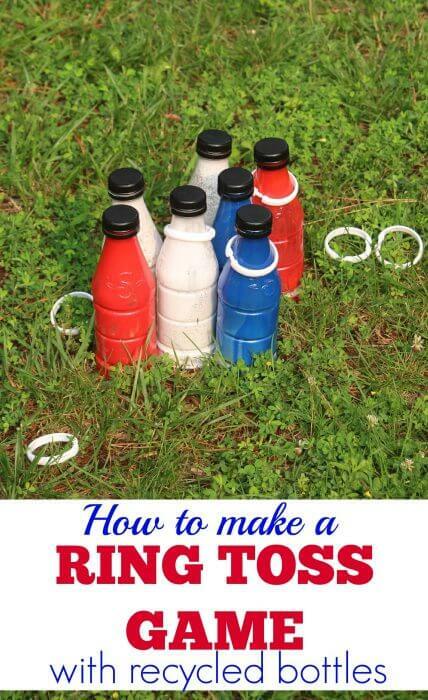 Make your own ring toss game! Step 1. Gather empty bottles, iced tea bottles work great. You need 7- 10 bottles for the ring toss game and then you want to makes sure you have some that you can sit back and sip while the kids play their new game. I have a rapidly growing 10 yr old in my house. He eats and eats and eats and the thing he wants to eat most is meat. His favorite meat is pork and I need more pork dinner ideas. While I am sure he could eat grilled pork chops every night, I need something new. 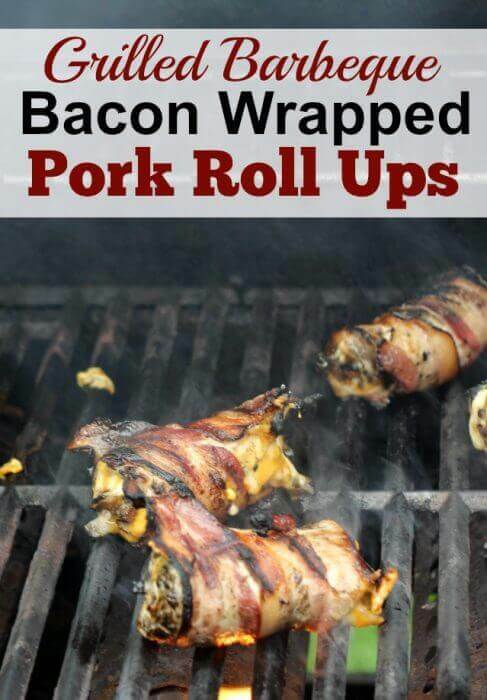 Instead of grilled pork chops I decided to try grilled bbq bacon wrapped pork roll ups. They were ready in just 30 minutes and everyone loved them. Yum!